What is it ‘about’ me? I started this blog just a few months shy of 50 and I’m still not really sure I know what I think is important about me. What might you want to know about me? Why am I writing this blog? What is there to say, realistically, that actually matters? The thing is, right now I am mostly about questions, and mostly about words. A lot of words. A lot of questions. I’ve spent a lifetime struggling to ‘be heard’; I’m learning that I yearn most to be heard most clearly from within. I’ve also spent a lifetime struggling with what I thought were ‘mental health issues’ of a variety of sorts, and found out at the end of 2012 that one possible reason that treatment after treatment has failed is that I’ve also been struggling with a brain injury that happened in the early 70s. I have no explicit recollection of it. The skull fracture shows in old X-rays, and I can feel the cracks that radiate from a triangular point on my forehead, just above and between my eyes. It’s real enough, in all but my memory, but I have long known better than to trust memory alone, since my own is so shockingly sketchy and unreliable, sometimes. Now you know I have a brain injury. You know I am sometime beyond 50 years of age. I am also an artist, a poet, a philosopher, a war veteran, an analyst, a loquacious being of libidinous appetite and a penchant for pretty language, gray-eyed, a few pounds heavier than I’d like, a few years older than I feel, and a survivor of sexual violence, domestic violence, gas-lighting, the mental health community, and my own failures to anticipate the consequences of my choices. I struggle every day to take things less personally, to clarify instead of assume, to respect and value my fellow human beings, build healthy relationships, and deal with post traumatic stress, approaching menopause, and a world that doesn’t particularly value the voices of women. Oh, and about that, I’m also a woman. Why ‘Evening Light’? Because for me, there is a certain ‘quality of light’ about evenings that hints at illumination, at gnosis, at the truth being revealed, and I’d very much like to transcend my own ignorance and cognitive challenges, achieve an internal ‘quality of light’, learn to communicate with real clarity, and become the woman I most want to be. I would like to tame my personal wilderness of chaos and damage. I am still hoping to find my answers in all these words. …Still reading? I’m still writing, and it’s months later than the day on which I began this blog. It is, in fact, 102 days later. Only that? Not more? I’ve come so far…things feel so…different. Since then I’ve begun a regular meditation practice, started treatment with a new therapist, and begun practicing mindfulness in my every day life. I’m still more about questions than answers, but that doesn’t seem so scary right now, and there’s so much more to learn and explore! I’m waiting for tomorrow’s mail delivery, hopeful that the books I ordered will arrive… there is always more to learn. I hit the two year mark on this blog a few days ago, and I’m less than 6 months from turning 52. It’s been an interesting journey. I’ve grown some as a person, and the world has added an event or two to the global timeline. Change is. We are each having our own experience. I still have more questions than answers. I’m okay with that. I’ve been doing this for a while, now. I read the original ‘About’ post and marvel at how much further along on this journey I have gone since thing. There have been incremental changes over time, and I remain the woman in the mirror; how strange to be both so different, and so similar, to have traveled so far, and yet remain entirely who I am. I live alone these days, and find some peace and stillness in the space between yearning for touch and human contact, and feeling safe in this space of my own. There is farther go on this journey, and I am still my own cartographer. I’ve no idea what’s next. My results vary. 1773 posts, and 2205 days, further on this path and I’m still sipping coffee in the mornings, and gazing out to the horizon in the evening light. Still practicing practices. Still walking my own path. Still my own cartographer on this most peculiar journey. So much closer to being the woman I most want to be, and pretty content, much of the time. My results still vary. There are still verbs involved. I haven’t significantly (or at all) changed the world. I’ve changed, though, over time, and that’s enough. Thank you for reading all the way to the end of this strange introduction. I’m glad you’re here. Except for “war veteran” and “brain injury” I could have written this. I look forward to your posts. Be well, and please take good care of yourself. Hi. I hope you are doing well. 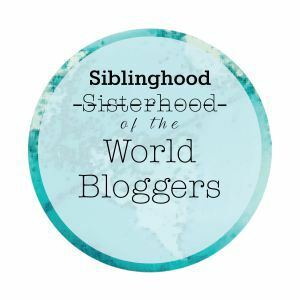 I really enjoy your blog, so I have nominated it for The Siblinghood of the World Bloggers Award. Please see the link for the instructions if you wish to do this. I nominated you for another award, the Blogger Recognition Award. Please see the link and follow the instructions if you wish to participate.